Marketing of products and services involves different strategies due to the dissimilarities in their characteristics. While in product marketing, the aim is to fulfil the needs and wants of the target population. As against, in service marketing, the firm seeks to create a good relationship with the customer, to win their trust. The two most important activities undertaken by the business is production or procurement of products and its distribution to the end user. The procurement of raw materials and its conversion into a finished product is an easy job. However, the disbursement of the product is a strenuous one, because creating a place for a product in the market is a bit difficult task, as the market is already flooded with lacs and lacs of products, where no one knows about your product and in this way the marketing comes into the picture. Nowadays, marketing is not confined to the product, but services, ideas, property, experiences and even people are marketed. The marketing activities are aimed at creating an impression of the product or service in the consumer mind, in such a manner, that your brand becomes a synonym for that particular product or service. 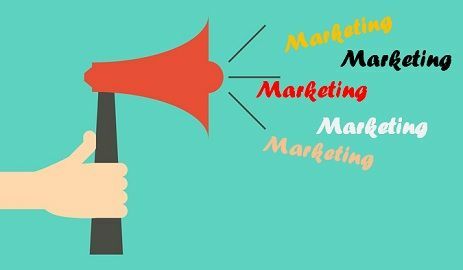 Here, in this article, we are going to talk about the differences between product and service marketing, read carefully. Meaning Product marketing refers to the process in which the marketing activities are aligned to promote and sell a specific product for a particular segment. Service marketing implies the marketing of economic activities, offered by the business to its clients for adequate consideration. Who comes to whom? Products come to customers. Customers come to service. Transfer It can be owned and resold to another party. It is neither owned nor transferred to another party. Returnability Products can be returned. Services cannot be returned after they are rendered. Tangibility They are tangible, so customer can see and touch it, before coming to the buying decision. They are intangible, so it is difficult to promote services. Separability Product and the company producing it, are separable. Service cannot be separated from its provider. Customization Products cannot be customized as per requirements. Services vary from person to person, they can be customized. Imagery They are imagery and hence, receive quick response from customers. They are non-imagery and do not receive quick response from customers. Quality comparison Quality of a product can be easily measured. Quality of service is not measurable. The entire process, right from the market analysis, to delivering product to the customer and receiving feedback, is called product marketing. The process is aimed at finding out the right market for its product and its placement in such a way that it gets good customer response. It entails promotion and sale of a product to its target audience, i.e. prospective and existing buyers. Various activities involved in the product marketing involves analysis of the market, identification of consumer demand, designing and development of product, pricing, pitching of a new product, communicating, advertising, positioning, distributing, selling, review and feedback. Example: Marketing for tangible objects like books, handbags, laptops, mobiles, clothes and so on. When a person or business entity promotes services it offers to its customers or clients, it is known as service marketing. It is aimed at providing solutions to the problems or difficulties of the clients. It includes both business-to-business (B2B) and business-to-consumer (B2C) marketing. A service is an act of performing something for someone in exchange for adequate consideration. It is intangible, consumed at the time of its production, can’t be inventoried and resold. Each service offering is unique in itself because it cannot be repeated exactly alike, even if the service is rendered by the same person. Example: Marketing of professional services, beauty parlours or salon, spa, coaching centres, health services, telecommunication, etc. The process in which the marketing activities are aligned to promote and sell a specific product for a particular segment is called product marketing. The marketing of economic activities, offered by the business to its clients for adequate consideration, is known as service marketing. In a product marketing, only 4 P’s of the marketing mix are applicable which are product, price, place and promotion, but in the case of service marketing, three more P’s are added to the conventional marketing mix, which are people, process and physical existence. When a product is marketed, the company offers value, as it fulfils customer’s requirements. Conversely, when service is marketed by a company, it offers a relationship to its clients. One thing to be noted that, in product marketing, the company promotes something whose ownership can be transferred/resold to another party. But in the case of service marketing, the company promotes something, whose ownership can neither be transferred nor it is resold to the other party. In product marketing, products reach the buyers, as they can be transported from one place to another through various distribution channels. Unlike service marketing, where customers come to the services or the service provider visit customer because services cannot be transported, they are location based. Products are tangible in nature, they can be felt and touched, which make its promotion easier. On the other hand, services are intangible, people can only experience it, and so marketing of services is a bit difficult. If the quality of a certain product is not up to the mark, or it does not fulfil the desired requirement, it can be returned to the seller. However, it is impossible in the case of services, because once the services are delivered, they cannot be taken back. So, the marketing of services, should be done keeping the returnability factor in mind. In product marketing, the product can be separated from its producer, and so they are durable and can be inventoried. On the contrary, in service marketing, services can not be separated from its source, i.e. service provider. Hence the production and consumption of services are simultaneous; they are perishable. Product offered by a company under a particular segment are standardised; they cannot be changed or altered as per customer’s requirement. In contrast, services offered by a company are highly variable and can be easily customised as per the requirements. It is a human tendency, that we respond quickly, to what we see and it is a major pro, of product marketing that it grabs our attention, and encourages sales. As against this, services can’t be seen it can only be experienced and so the response it a little slow, while marketing services. In product marketing, the quality of the product can be measured by making a comparison between various products, but this is just opposite in service marketing, where the measurement of services is not possible. Whether, it’s a product marketing or a service marketing, the task is equally onerous. However, with the former, there are some advantages such as tangibility, separability, durability, transferability, etc. which the latter lacks, making it a bit difficult. Demonstration of product or service is one of the best ways to promote it. Further, word of mouth also helps in marketing them.